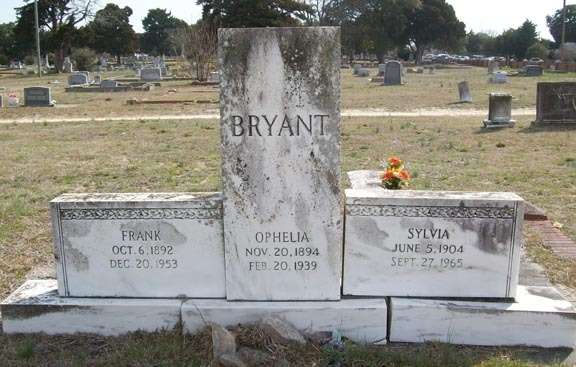 So I never knew Ophelia and Frank Bryant. Both of them died long before I was even on the radar of arriving on this planet Earth...but I know they passed on something amazing to their children. Church! No not a building ...not a minister...not some piece of scripture. They passed on what I call "Church." "Church" to me is synonymous with spirituality. It means love. It means compassion. It means being open instead of being closed off. It means, here is my heart...I am showing it to you and I will help you find yours. Now the family was definitely a set of church going people as evidenced by Ophelia's obituary. She was the church organist. On a side note, can I tell you something about the day I received that obituary in the mail. So funny how you don't really stop to think about these things until someone puts a spotlight on it. My grandmother had an organ and a piano in her home. My Aunt Rosa had a piano in her home. My Aunt Eloise had a piano in her home. My mother has a keyboard in her home. The moment I read Ophelia's obituary, I said to myself, "Ohhh. I get it. Duh! That's where that came from." The love of music and the importance of the piano didn't just drop out of the sky. It came from somewhere. Frank and Ophelia were my great grandparents. Sylvia Bryant was my great granfather's second wife.